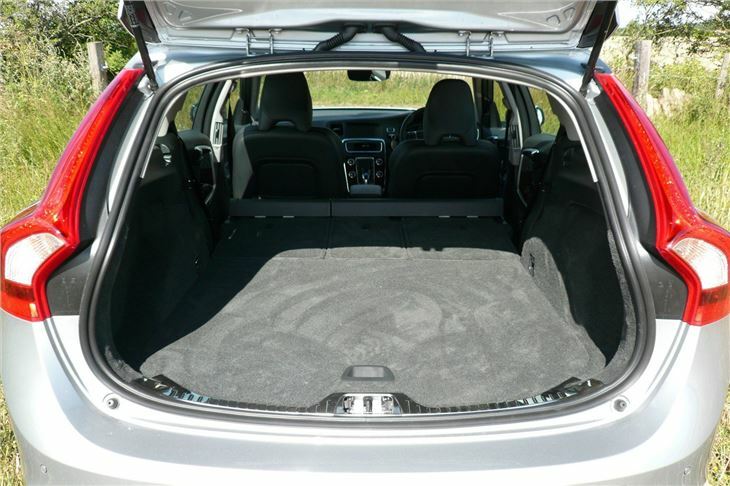 The first thing I need to make clear is that the 2015 Volvo V60 Cross Country AWD does not yet have Volvo’s new 2.0 litre 4-cylinder Drive-E diesel engine. 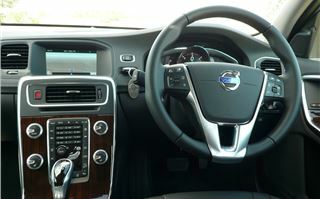 Instead, it runs a 190PS/420Nm torque version of the old 2.4 litre 5-cylinder Volvo diesel with a compulsory 6-speed torque converter ‘Geartronic’ automatic transmission. 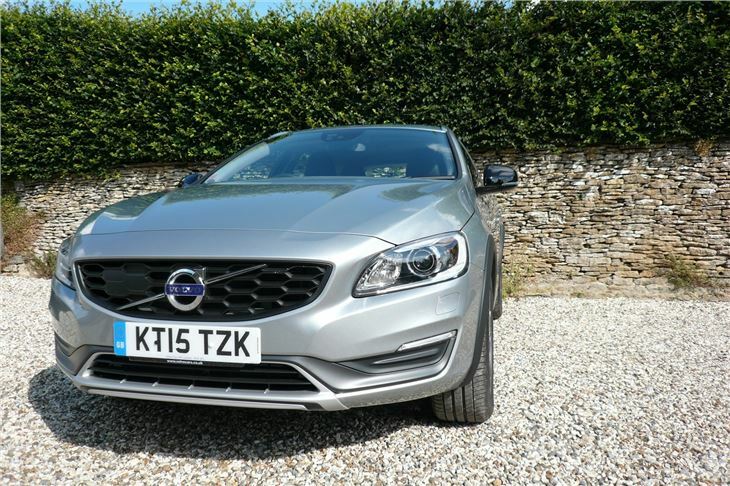 So horsebox towing country dwellers need to snap up this version of the V60 immediately because, with a towing capacity of 1,900kg and an easy-going auto, it’s exactly what they need. A more fuel-efficient forthcoming dual-clutch Powershift auto and the new 2.0 litre Drive-E might not be as effective at dragging the ponies out of a wet paddock. 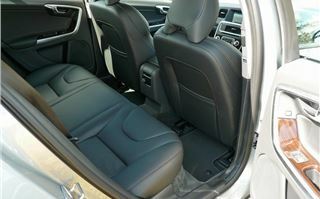 They’ll like the comfortable seats and the rugged ‘feel’ of the car. 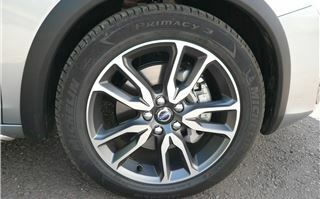 Its four-wheel drive system and 235/50 R18 tyres make the driver more at one with it than with a front wheel drive V60. They’ll like the flat load deck, too. 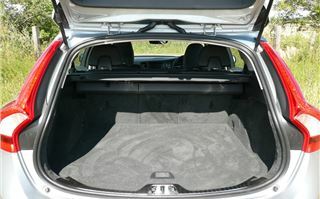 And the presence of the optional (£150) space-saver spare underneath. But, to make full use of its 1,700mm x 1,100mm dimensions they’ll probably want to buy a load liner, for the dog area at the back anyway. 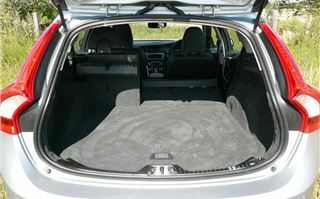 Remember, the V70 remains Volvo’s big station wagon, equivalent in size to a Mercedes E-Class, a BMW 5-Series or an Audi A6. 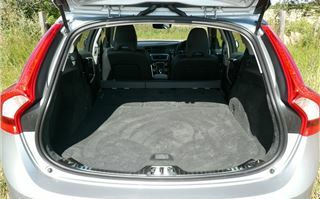 The V60 featured here is one size down, matching a C-Class, a 3-Series or an A4. 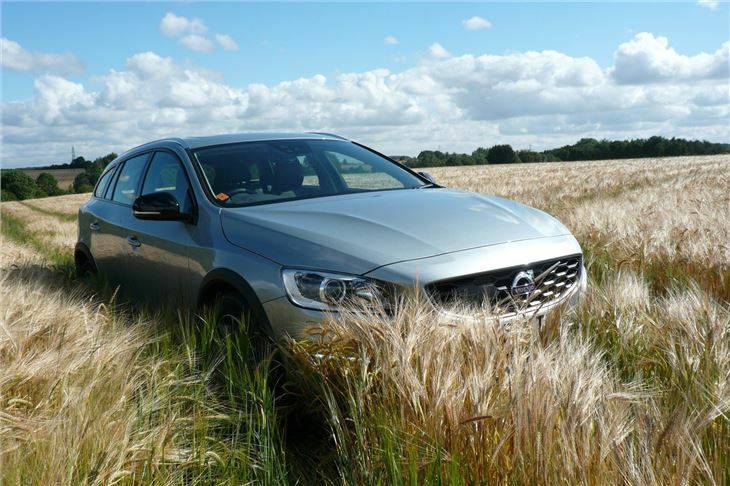 In fact, by pure coincidence, when I got back to the office, I had received an email enquiry that the V60 Cross Country AWD met precisely: under £50,000, not an SUV, must be able to tow, not German. There are other V60 and S60 Cross Country models with the new, super-efficient engine and raised ride height, but without four wheel drive, from £30,195 for the 150PS, 350Nm torque D3 that comes in at 111g/km for the manual and 120g/km for the Powershift. 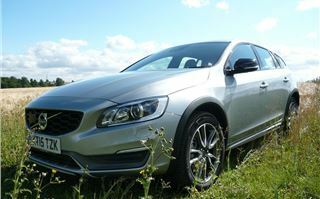 You can check out how I got on with a 181PS S60 Drive-E over 6 months here. 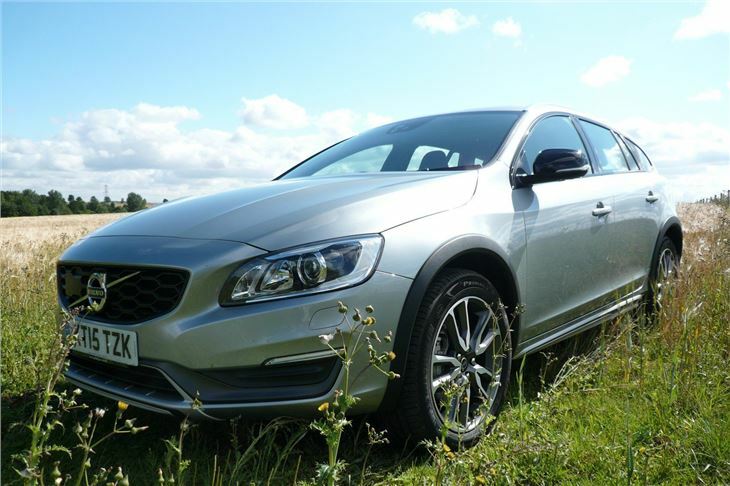 V60 Drive-E road test here. The V-60 Polestar road test here. And V60 T6 plug-in hybrid road test here. 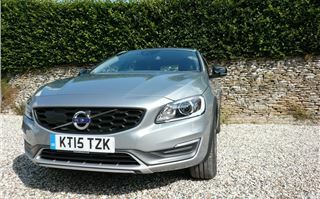 But here we are concentrating on the £38,000 V60 Cross Country AWD. 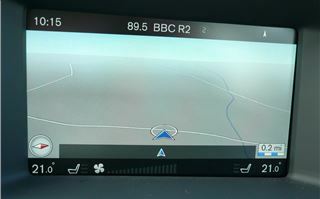 Satnav is standard with a reversing camera. 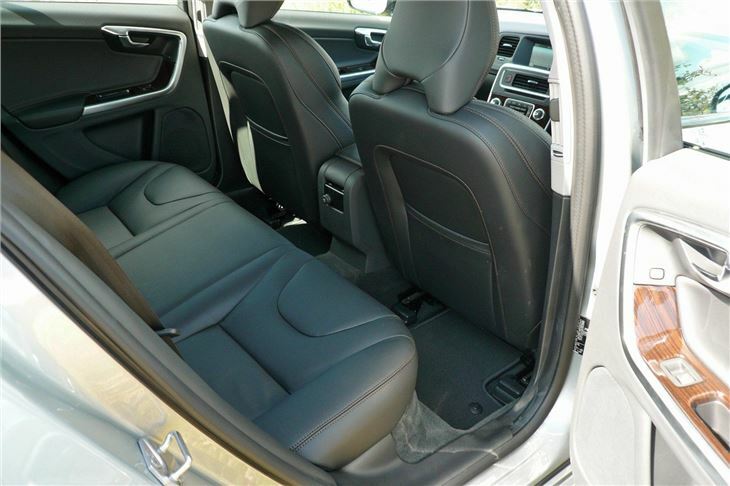 So are leather covered electric seats with memory. But you’d expect that for the money. You can add all sorts of things. 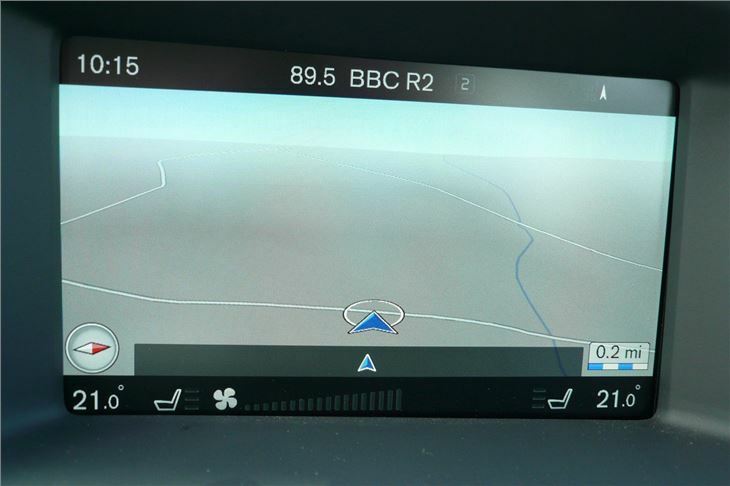 The test car had £6,400 worth of extras. 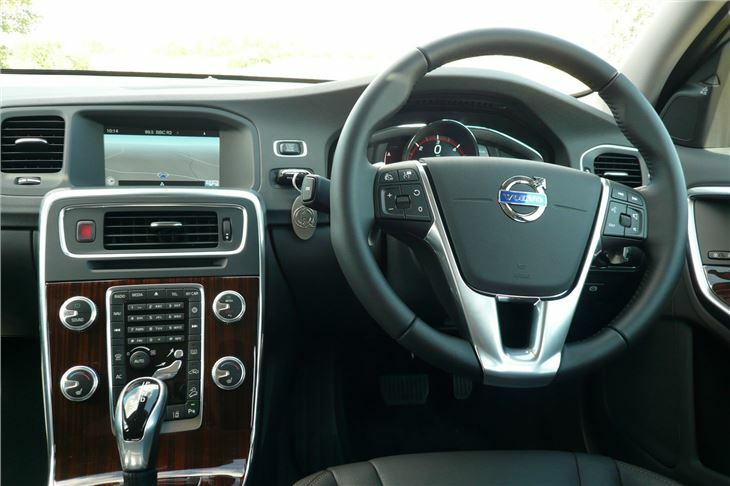 These included the ‘Driver Support Pack’ at £1,900, which includes collision warning with auto brake, pedestrian and cyclist detection, Adaptive cruise control, queue assist, road sign recognition and blind spot and cross-traffic alerts. 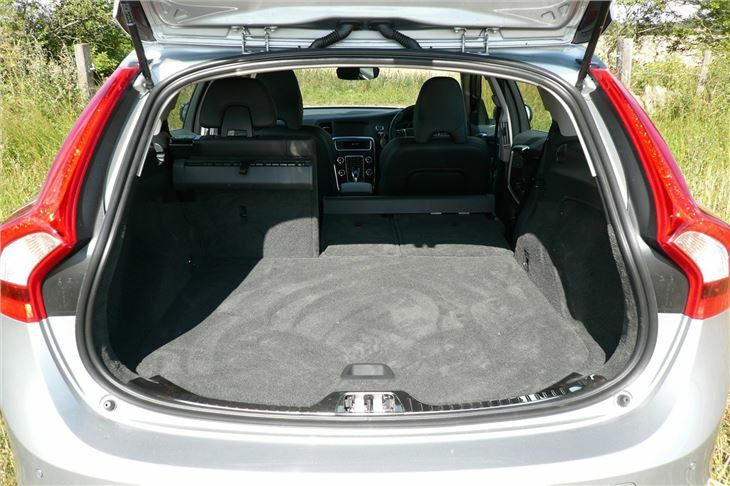 You can load a Volvo with extras like an Audi. And, if buying second-hand, a previous owner may have, so it’s important to check what extras the car has included in the used car price. 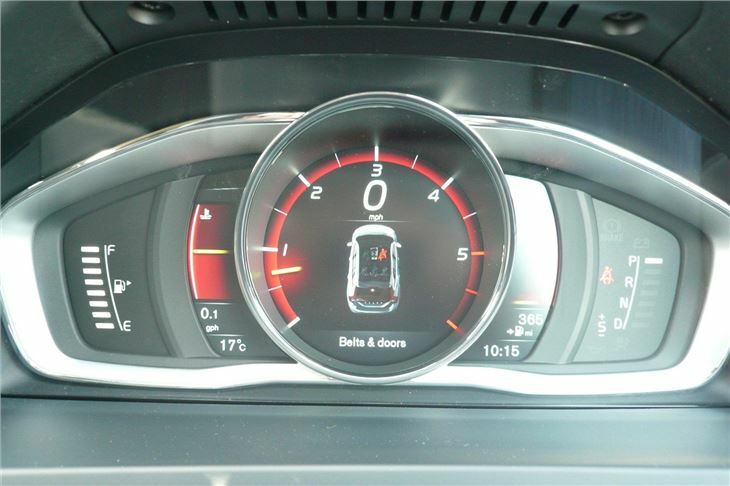 But the biggest confusion when buying second-hand will come from Volvo’s ever-changing engine denominations of D2, D3 and D4 and now T2, T3, and T5 as well. (We have tried to cover these in the car-by-car entries). 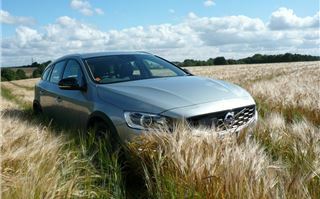 You can still get a V60 that gives outstanding performance yet still comes in at under 99g/km CO2, so free annual tax. 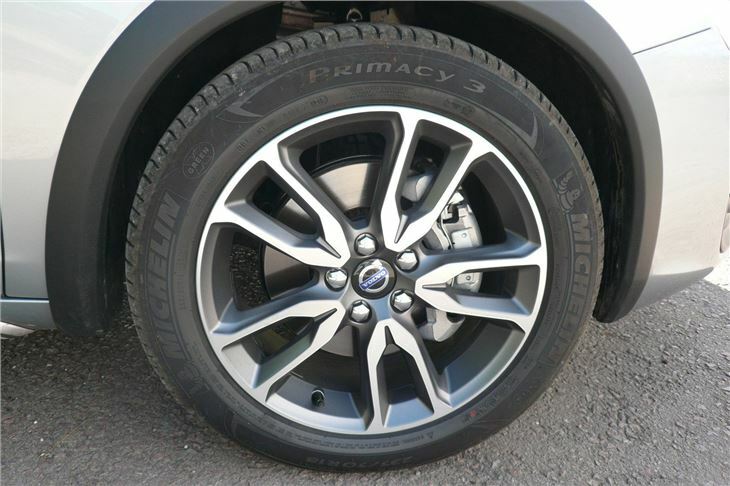 But if you need one with raised ride height that can tow a horse box across a field, you’ll have to settle for the 149g/km 2.4 litre D4 Cross Country AWD that will cost you all of £145 in VED per year. Though, if you’re spending upwards of £38,000 on a country estate car, we don’t think £145 a year is going to worry you very much.